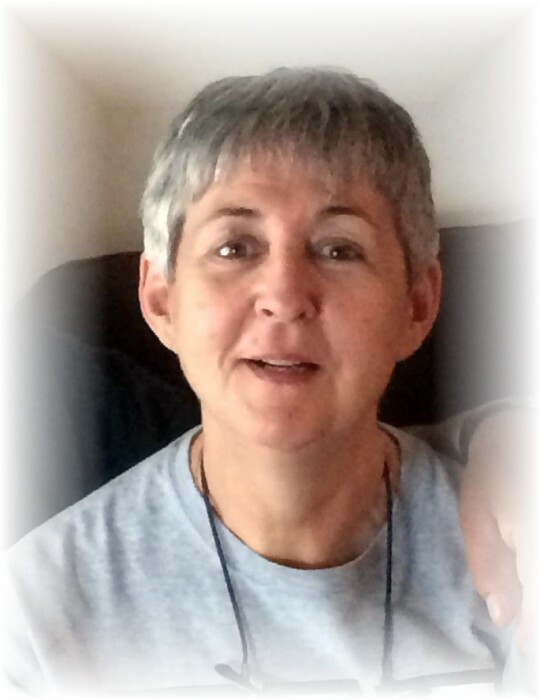 Our beloved wife, mother, grandmother, daughter, sister, sister-in-law and friend left us on March 27, 2019 to enter the Spirit World. She leaves behind her beloved husband, Modest; children Megan, Katie, and Andrew; grandson Carl; adopted father, Fr. Dominique Kerbrat; and her brother Wayne Sinkovits. Her in-laws: Dollie Tutkaluk, Anne Loone, Celine Tousaint, Eleanor (John) Veuillot, Jimmy (Dora) Antsanen, Lucy Antsanen (Gary Tait), and Alex Antsanen. Nieces and nephews: Theo, Terry, Kyle, Colten, Martin, Clara, Joe Ben, Marvin, Linda, Nathen, Harriet, Nelson, Rose, Leon, Tammy, Leroy, Virginia, Wayne, Steven, Randy, Karen, Eric, Vic, Oliver, Lori, Jamie, Justin, Tristen, Traden, Jacob, Andrea, Brigitte, and Emerald, and many great-nieces and nephews. Her dear friends: Roanna Hepburn, Geraldine Sowa, Jacques Lafrance, Candy Cook, Frances Sinclair-Kaspick, Jean Wilford, Bella Antsanen, Rosalie Tsannie-Burseth, Flora Denechezhe, Blanche Denechezhe-Puddicombe, Geoffrey Thompson, and Allen Carlson. She was predeceased by her mother, Estelle; brother Greg; and her grandparents; her mother and father-in-law, Victoria and Jean Baptiste Antsanen; brothers-in-law Joseph Antsanen and William Loone; niece Bella Veuillot; and great-nephew Devin St. Pierre. Kym was born and raised in Winnipeg. She received her Bachelor of Education from the University of Manitoba in 1984. Immediately upon convocation, Kym left Winnipeg to teach in Lac Brochet in Northern Manitoba, where she met the love of her life, Modest. They were married on December 24, 1986 and enjoyed many years of travelling, hunting, fishing and camping before they started their family. Her accomplishments as a teacher and principal were very important to her. Kym’s family was the foundation of her being and brought her tremendous joy, and as a mother she treasured her children and embraced every moment with them. Kym had a vivacious personality, and her sense of humour, her contagious laugh, and upbeat and positive nature brought her family and friends many good times, always making people laugh. Kym loved music and loved to dance and didn’t need a dance hall to break into dance wherever and whenever she felt like it. Throughout her illness, Kym never lost her sense of humour. A special thank you to Holy Family Home for all the love and care Kym received at the care home. Also a big thank you to Kym’s long-time friend and adopted father, Father Dominique, for his love and care. Family and friends are invited to the Wake on Sunday, March 31, from 7:00-11:00 p.m. at Korban Funeral Chapel, 907 Main Street. Funeral Mass will take place on Monday, April 1 at 11:00 a.m. at St. Kateri Catholic Parish, 548 Home Street, followed by interment at Holy Family Cemetery. Pallbearers are Modest Antsanen, Andrew Antsanen, Alex Antsanen, Jacques Lafrance, Joe Ben Nataweyous, and Wayne Sinkovits. Following the interment, we will gather back at Korban Funeral Chapel for a time of fellowship and refreshment from 2:00-4:00 p.m.
For those wishing to, donations can be made to the Alzheimer’s Society of Manitoba. The times we cried, the battle I fought and the times we laughed.